Review: We had one of our chippers painted with your RustSeal to say that this is a great product is a under statement. I would recommend this paint to anyone who has outdoor equipment. Thanks for your Product! 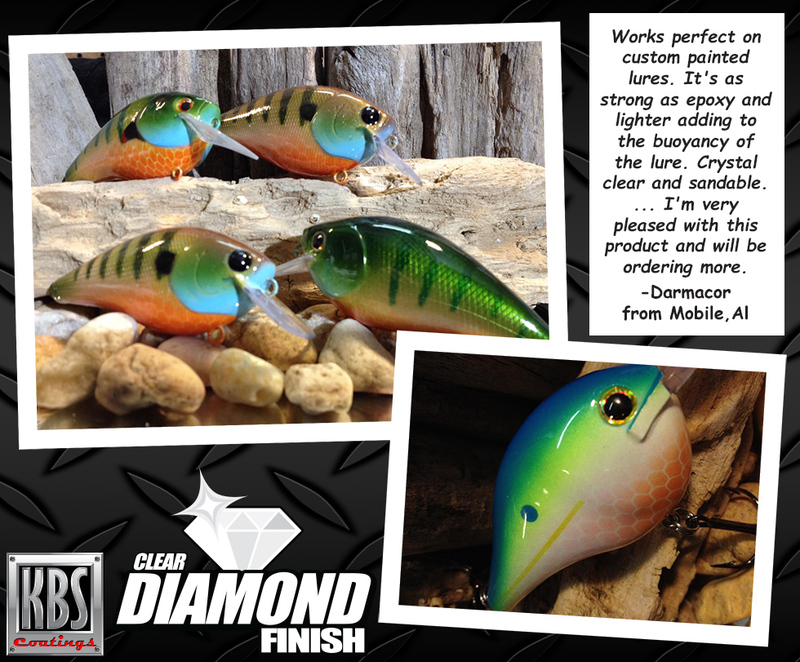 Review: I custom paint fish baits and the KBS DiamondFinish Clear Aerosol Spray is the best sealer out there for easy deal on my glide baits just make sure your in a well ventilated area I also use Diamond finish on non jointed baits uv protected the finish is amazing…thanks for putting out a awesome product! Review: Have been experimenting with Diamond Clear on various types of metal surfaces for yard art objects. I’ve brushed it on and also used the PreVal sprayer. I’m a novice so I’m learning a lot. Some types of metal allow for the coating to flow better than others, so I’ve found that thinning with Xylene is often needed. For the PreVal sprayer, I’ve found that thinning 40% or so works pretty good, depending on the metal surface and temp/RH, etc. Overall, the finish dries nice and tough and glossy. “I am very proud to share my gas tank restoration with KBS Coatings products. This tank belongs to a Roadrunner 73, gas tank with rust inside/outside, holes where the fuel was stored for several years. I almost trash it, when I found KBS and I started to read reviews I wanted to see it by myself. Cleaner and sealing product are Just amazing. You can see the interior of the tank, and I also applied the product outside and then also I decided to apply regular Black paint onto the seal once cured. Check out the KBS Rust Prevention System HERE. 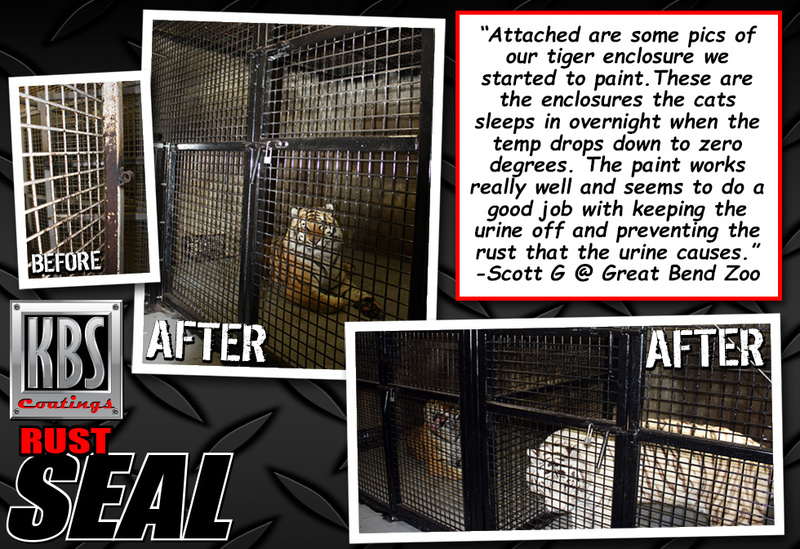 Note: RustSeal is much more durable than powder coating which is why our customers choose it all the time over powder coating. 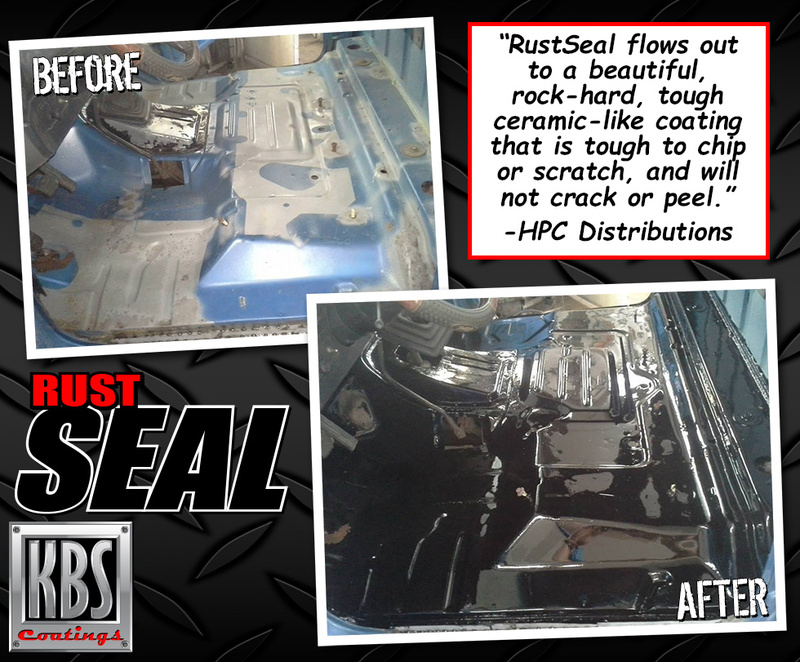 “This product (DiamondFinish Clear) did an excellent job on the final coats to my motorcycle tank and covers. I did 14 coats of lacquer paint and clear. Then wet sanded and applied two coats of your clear coat. on the last coat my spray gun decided to leak, right in the center of the tank, one nice large drip. But as your site states the product is self leveling, I was amazed as too how much the drip leveled before it harden. I waited a couple of days and wet sanded the remain drip out and applied two more coats of your clear coat finish. Came out real nice.